Whether you're a Los Angeles native or are headed to The Golden State for business purposes, there's plenty to do in the land of sunshine, sandy beaches, and Hollywood glitz and glamour. Whether you're interested in soaking up the sun, enjoying a quick bite, taking in the nightlife, or immersing yourself in the quintessential culture of California, here's a list of awesome things to check out in the Financial District of Los Angeles. With convenient online ordering and 24/7 delivery, this is the go-to spot if you're stuck in the office pulling an all-nighter and craving some delicious, homemade food. With a menu that ranges from lobster grilled cheese and roast turkey avocado paninis to full-sized burgers and massive breakfast plates, let the convenience of LA Café satiate your morning, afternoon, evening, and late-night cravings. California is known for its farmers markets, so why not check out the original? Each Friday, Saturday, and Sunday, hundreds of locals and visitors alike head to the farmers market for fresh flowers, locally grown veggies, organic fruits, and a selection of food, desserts, and snacks which can easily be enjoyed on-the-go. Interested in learning more? Sign up for a food tour – you'll learn the history of the Original Farmers Market while sampling delicious fare from around the world. 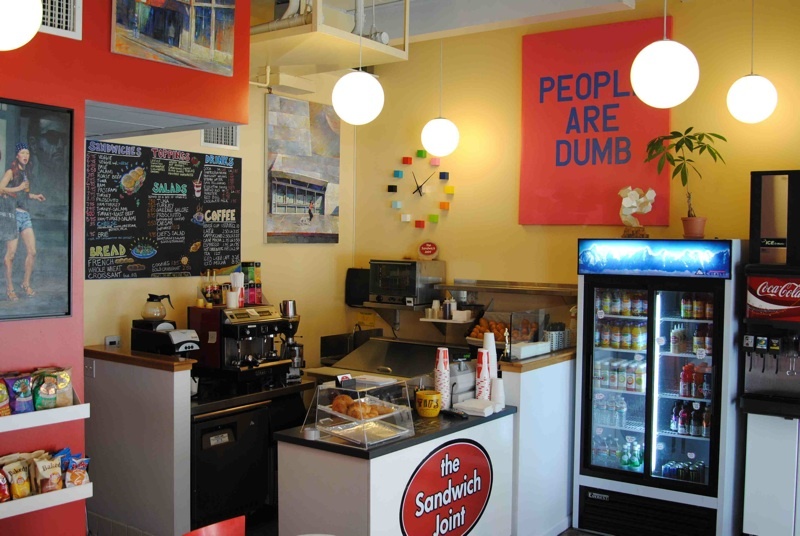 If you're craving a flavorful sandwich made with fresh ingredients, head to The Sandwich Joint. Each sandwich is lovingly made with gourmet ingredients stacked on a French roll or croissant, and topped with a homemade mustard vinaigrette. With an original shop in Hermosa Beach, the Sandwich Joint has successfully fueled surfers and litigators alike since its inception. Come with an appetite – these sandwiches are huge! Though this area of Los Angeles is known more for its deal-making than peace-making, this gem is perfect for anyone seeking an escape from stress. Perfect for all experience levels, the expert yoga instructors at Peace Yoga Gallery are prepared to guide you through your first, second, or hundredth yoga class. Known for helping busy Los Angeles natives who don't think they have enough time in the day learn to find their breath and slow down, this is the perfect place for those seeking inner peace. If you're in the area on the second Thursday of the month, visiting the monthly Downtown LA Art Walk is a must. Referred to as an explosion in urban culture, the free event attracts art aficionados and novices alike. The combination of the sheer electricity exploding from the galleries, the eclectic crowd, unique music groups that set up outside of the galleries, and variety of food trucks and vendors is a perfect example of LA's unique culture and attitudes.